Official description: Imperial Stout with Sump Ethiopian “Roba” coffee. Contains lactose. 11.5% ABV. 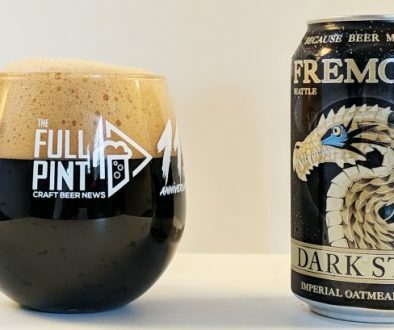 In the glass, this beer has a lot in common with the other imperial stouts I’ve recently reviewed from Perennial such as Maman, Abraxas, and BA 17. It is used motor oil black with no light penetration even as it is pouring out of the bottle. Sump, though, has the most impressive head of foam from this group. 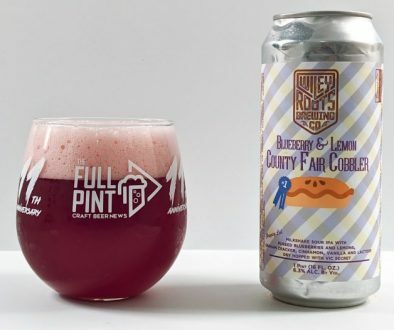 It is ridiculously creamy and rises up out of the glass with much more power than expected. My first pour with just a little bit of agitation created a glass of about 70% foam. The mocha-colored, mousse-like head is so dense, that little beads of liquid beer dance atop the surface of the foam unable to fall through. Dig in, and the texture is insane. It’s perhaps the creamiest, densest beer foam I’ve experienced perhaps from the extra oils brought on by the coffee addition. You could probably take a spoon to this stuff! Like I’ve mentioned in other higher-end coffee stout reviews like Goshawk’s Grasp and Coffee Abraxas, there isn’t this typical “coffee” aroma that some might expect. That earthy, stinging aroma of Folgers drip coffee from the office coffee pot is not applicable here. Instead, you get an enticing mix of cinnamon, dark bread, and licorice with building notes of blueberry, high-end dark chocolate, and Chambord liqueur. None of that green pepper aroma peeks through thankfully – a flaw common with coffee beers. After several larger than recommended sips, I’m in love with this beer. There is so much oil and fattiness to the texture here. It glides around in the palate and has a satisfying dessert character like flourless chocolate cake with a Godiva liqueur sauce. There’s nothing to speak of regarding coffee-derived acidity. Indeed, so many coffee beers I try end up being acidic like lemon juice. Here, the coffee addition adds raspberry and blueberry flavors along with intense vanilla and powerful dark chocolate. The lactose addition (also found in Abraxas) plus the additional oils from the coffee I presume really bolster the mouthfeel. Overall sweetness stays around a 6/10 while bitterness is at a 7/10. Balance here is perfect, and that lactose doesn’t push it overboard. Like I’ve found with several Modern Times coffee stouts, the coffee addition is transformative altering not just flavor and aroma but also mouthfeel and overall bitterness in a positive way. I’m still in awe of this beer. 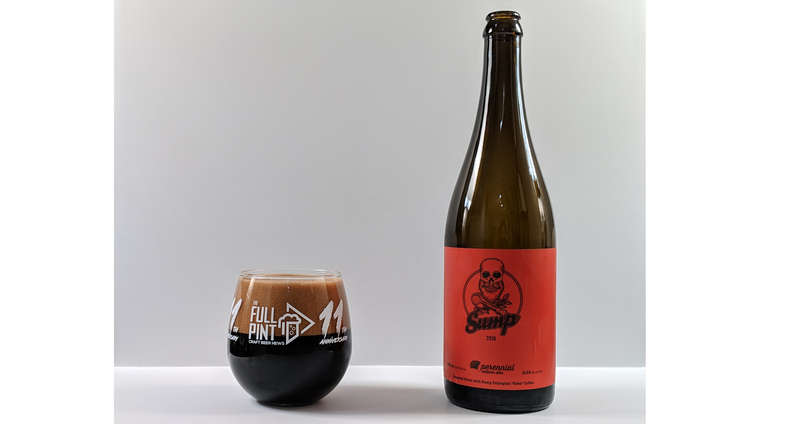 This version of Sump has so much in common with super high-end espresso. I recently returned from a trip to Italy and got to re-try one of my favorite cups of coffee, the grand caffè (a double espresso) from legendary Sant’Eustachio in Rome. This is one of the coffees where you probably should savor it for several minutes, but instead, I just inhaled it without thinking. The lack of acidity and focus on creaminess and balance makes it way too easy to drink. It is the same with this version of Sump. You forget this is a mega imperial stout. After sitting with this bottle for an hour, I’ve probably consumed the equivalent of four espressos. Send help! 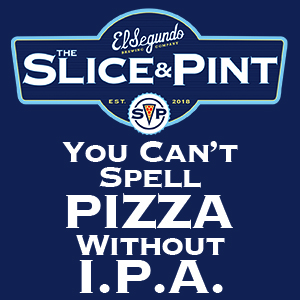 I don’t like to give numerical scores to beers because I have my own quirks and personal biases. 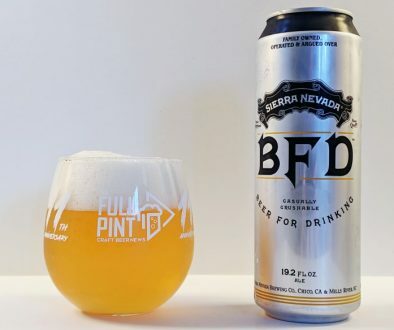 Sometimes beers are sent to The Full Pint as press samples like this one. And plus, I’m not tasting these blind most of the time. But if I were to give this a score, it would be 100/100. This is mind-blowingly awesome and perfect in every way. Imperial stout lovers and coffee aficionados, put it on your wishlist!